On Saturday, May 26, 2012, MASS MoCA opens Oh, Canada, a massive exhibition featuring more than 100 works by 62 artists and collectives from the north, and kicks off the institution's 14th year with a celebratory dance party with music by DJ Brendan Canning from Broken Social Scene. In addition to Canadian programming in the galleries and on stage, MASS MoCA's summer will include music from bands like Real Estate and the legendary Sweet Honey In The Rock, and the annual Bang on a Can Festival of Contemporary Music as well as the Wilco benefit concert, theater with a work-in-progress showing of the groundbreaking Here Lies Love(by David Byrne) and slapstick from the ensemble 500 Clown, dance with Girl Walk // All Day and a Brazilian Big Beat dance party, film on the country's largest movie screen (at the airport, no less), comedy, alt cabarets, events for kids and more. A June highlight will be the work-in-progress showing of the unique theatrical experience Here Lies Love on June 21 - 24 co-presented with Williamstown Theater Festival and The Public Theater in New York. MASS MoCA's Hunter Center will be converted into a throbbing dance club for this immersive spectacle by David Byrne and Fatboy Slim which deconstructs Imelda Marcos's meteoric rise and subsequent descent into infamy. In July the a capella sextet, Sweet Honey In The Rock, take the stage on Saturday, July 7, and the following week the 50+ faculty and fellows who comprise the Bang on a Can Festival of Contemporary Music arrive and begin presenting their twice daily gallery recitals on July 11. As part of the festival the Bang on a Can All-Stars will perform Field Recordings on July 21, and Steve Reich will join the Marathon on July 28. On Tuesday, July 31, Wilco will perform a benefit concert for MASS MoCA in the Hunter Center. There are only a few tickets left for this concert. August is the month for popular music and chances to dance. On August 4, Girl Walk // All Day is a screening and dance party featuring the long-form dance music video set to Girl Talk's album All Day in which three dancers move across NYC turning sidewalks, parks and more into their urban stage. After the film, DJs spin into the night at this special event sponsored by The Porches Inn. On Thursday, August 9, the indie band Real Estate's lo-fi summery sound carries on the tradition of Pavement, Yo La Tengo, and The Feelies in a concert sponsored by Blue Q. On Labor Day weekend Nation Beat's totally original 21st-century fusion of thunderous Brazilian maracatu drumming and New Orleans rhythms brings a wild energy to the dance floor. August also features slapstick theater for all ages with the troupe 500 Clown performing Trapped on Saturday, August 11. The popular Alt Cabaret series looks north with a performance by Patrick Watson on June 30, whose lushly surreal soundscapes invite comparisons to Rufus Wainwright, Andrew Bird, and Jeff Buckley. Also hailing from Canada, Ophira Eisenberg, veteran of The Moth and mainstay on NYC's stand-up and storytelling circuit, performs on Saturday, August 18. The third show in the series is on July 14 with versatile singer-songwriter and multi-instrumentalist Julia Easterlin. The Alt Cabaret series is sponsored by the Hans & Kate Morris Fund for New Music. August wraps up with two works-in-progress. On August 25, dance/theater artist Nora Chipaumire presents Miriam with soundscape composed by Omar Sosa. This evening-length work is inspired by Chapaumire's own history as well as the icon of legendary South African artist Miriam Makeba and the Virgin Mary and is produced by MAPP International Productions. On August 31, the vocal ensemble Roomful of Teeth directed by Williams College's Brad Wells, returns, this time collaborating with Missy Mazzoli, who has been called "one of the most sought-after young composers in the country". Kidspace will open the exhibition Curiousity on Saturday, June 23, from 11 - 1 featuring works by ten artists who explore curiosity-inducing things like dinosaurs, super heroes, monsters and more. Events for kids and families, which are sponsored by Greylock Federal Credit Union, round out the season, including performances by The Jimmies on Saturday, June 16, Kids Can Too with Bang on a Can on Saturday, July 14, and two gallery quests on July 7 and August 18. Oh, Canada is presented by TD Bank Group with Lead Sponsor Canada Council for the Arts. Thanks also to Major Sponsor W.L.S. Spencer Foundation, Contributing Sponsor Francis J. Greenburger and Time Equities, Inc., and Associate Sponsors the Claudine and Stephen Bronfman Family Foundation and the Consulate General of Canada (Boston). Additional support comes from Manulife Financial, Scott and Ellen Hand, the Massachusetts Cultural Council, Art Dealers Association of Canada, and Québec Government Office in Boston. We also acknowledge the support of the Canada Council for the Arts which last year invested $17.1 million in visual arts throughout Canada. Nous remercions de son soutien le Conseil des Arts du Canada, qui a investi 17,1 millions de dollars l'an dernier dans les arts visuels à travers le Canada. Tickets for all events are available through the MASS MoCA Box Office located off Marshall Street in North Adams, open from 11 A.M. until 5 P.M., closed Tuesdays. 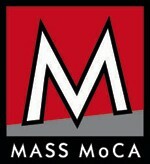 Tickets can also be charged by phone by calling 413.662.2111 during Box Office hours or purchased on line at www.massmoca.org.